AAAEA - Capital Area hosted its second annual bowling night on Sunday, February 25th at the Brunswick Zone Lanes in Ellicott City. The event was a great success. It attracted our members along with their families and friends. 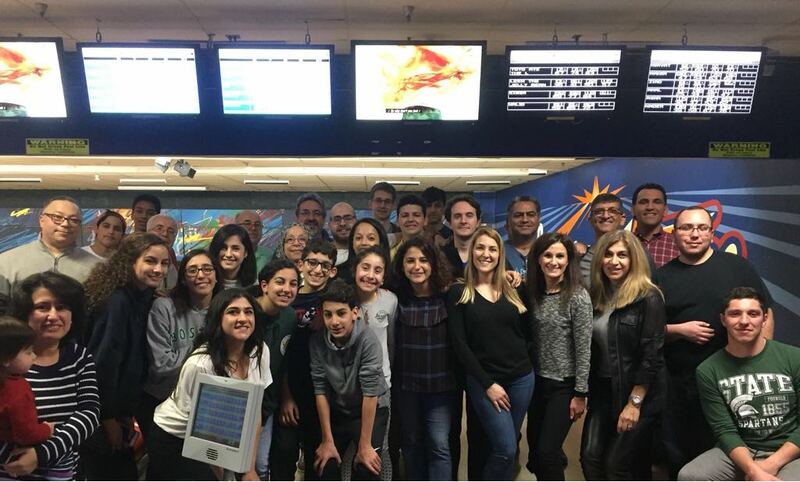 Once again, the event was a fun-filled evening of bowling, excitement, and an opportunity to get out of the daily routines for a break from the outside cold weather. All the attendees joined for a bite with their buddies and had great fun showing their bowling talents. For those who couldn't make it at this event, no worries, more to come and we are looking forward to seeing you at our next activity... stay tuned!